Americans are often familiar with the showcase country of Communist rule, the Democratic People’s Republic of Korea, more commonly referred to as, North Korea. The news often reports on the “axis of evil” with headlines of their escalating tensions with Seoul, Korea and Washington DC or the strange and lavish life style of the current dictator Kim Jong Un to the elaborate parades of power and uniformity. 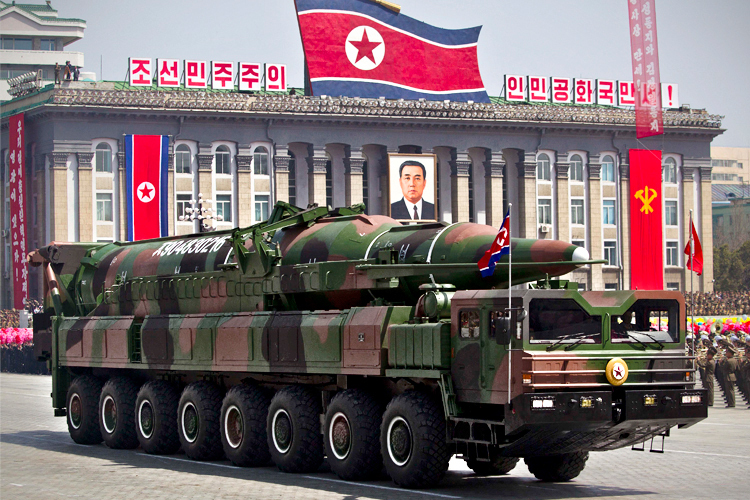 But too often, the media neglects the crisis that ensnares North Korea. It is only recently that the world gave notice to North Korea’s history of appalling Human Rights violations, thanks to the recent United Nations report. The ill treatment and oppression is not a new situation in North Korea, but one that has been perpetuated from the beginning of the country. It is almost as if this oppressive trait was passed down from the “Great Leader” Kim Il Sung, to his grandson Kim Jong Un. 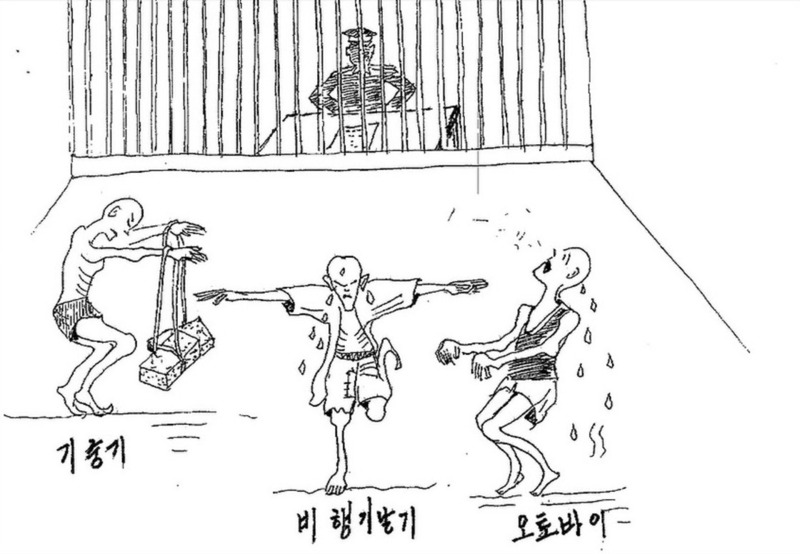 Given the reoccurring circumstances of Human Rights abuses and oppressive dictatorships in North Korea, most if not all, can soundly agree that this atrocity that the UN so eloquently puts, “gravity, scale and nature of [human rights] violations reveal a State that does not have any parallel in the contemporary world”. Many cite World War II as an atrocity that we must never allow to happen again. These words are said in vain while we allow for masses to be oppressed by their government. This situation in North Korea which has no parallel today should not be allowed to continue; but what is to be done? Does the international community step in and intervene on behalf of the people or issue more sanctions? Or should the change in government be brought about by only the people? The under lying question is, what is the best solution that will not be the result of bloodshed and violence? This question creates a moral dilemma of what is the right thing to do. Naturally most might agree that a government dismantling organized by an international community would be beneficial. However, doing such would violate international laws as being unjustified acts of war. Does the international community, step in and protect the rights that we are ensured, or does it stand on the side lines waiting for the north Korean people to move? The best solution to this situation is to empower the people for their own revolution; one that is orchestrated and organized solely by the people but equipped by international communities. The international community can assist in aid and relief as well as imposing sanctions and put pressure on the North Korean regime. It is not in the authority of a country or even the United Nations to dismantle and violate another country’s sovereignty. Past communist overthrows such as the fall of Communist Romania as well as testimonies from North Korean defectors will be analyzed to support the claim of a citizen led revolution. The UN report of Human Rights violations will be looked at to further demonstrate the importance of change in North Korea. Throughout this post the term “the international communities” is referred to, it means not only the United Nations and various countries but also the citizens of these countries and NGOs. The reason being is, Eleanor Roosevelt explains eloquently where human rights begins, “Where, after all do Human Rights begin? In small places close to home. So close and so small they cannot be seen on any maps of the world, yet they are the world of the individual person: the neighborhood he lives in, the school or college he attends, the factory, farm or office where he works…. Unless these rights have meaning there, they have little meaning anywhere” In other words, it starts with everyday people, not with governing bodies. Given the irrefutable evidence provided by the UN of human rights abuses committed by the North Korean government makes it all the more clear to take action against this atrocity. This has been known throughout the world for quite some time now, but it has taken years for a formal investigation to be conducted by the United Nations; this delay in action will hinder progress of change in North Korea. “Before, people said a lot of really bad things about South Korea; they don’t any more. Also, you just see people disappear; it often means they have left North Korea. And if you are with people you are very, very close to, you might express your position; you might say ‘I’d like to leave if I could’ she continues to say, “[North Korean] People started knowing how the world was … People have been watching videos from overseas for a while and a lot of people have gone abroad and come back and talked about how life is [outside],” With more and more North Koreans gaining access to media or the outside world a desire for a different life grows stronger and greater. This is how change can happen. When they are shown the truth beyond the regime’s deceit. Contrary to popular belief, the efforts of the international community to curb the rouge nation were not in vain, and so the must continue to put pressure on North Korea. This task is not set only upon the shoulders of governing bodies or NGOs but on everyday people. This does not mean quit your day job and cross the border into DPRK. If there is a large enough outcry, the UN or State governments, will be forced to act. There are numerous way to put pressure on organizations with influence. Petitions and protests are both effective ways to amass support and add weight to the pressure put on the North Korean government. “Humanitarian aid to North Korea should not come from governments. Humanitarian aid should instead come from North Korean defectors and NGOs. The aid should then go directly to the North Korean people, to help improve their financial well-being and general health.” In the past aid has been diverted to North Korea’s elite and is distributed unequally. The route of diplomacy, that is negotions, is one that should not be abandoned. Madeleine Albright U.S. Secretary of State (1996-2000) was asked in an interview on Frontline, was asked about negotiations with Kim Jong Il and that some disagree to their effectiveness and that they shouldn’t be conducted. Albright responds by saying, ‘I completely disagree because I believe that it is essential to see whether there’s a way to have some agreements. We talked to Stalin, we talked to Mao, we talked to Khrushchev, and Brezhnev. We made agreements. I don’t consider talking appeasement. It depends on what it is you agree to, but I think it is very much worth having conversations and delivering a very tough message.’ She cites that negotiations have been made with past dictators and leaders, such as Stalin and Mao who ruled with an iron fist, which most would think would be a waste of time. The world has seen Communist regimes rise and fall. There is one revolution that took place only 25 years ago that ended in a bloody resolve. Communist Romania fell after the leaders Nicolae and Elena Ceausescu were captured and executed after a botched trial. Donald G. McNeill Jr. writes for the New York Times in 1999, “The verdict, though not stated, was clear, since the firing squad traveled in the same helicopters with the judges.” It is emaparitive to promote justice and what is right instead of carrying out an act that attempts to correct injustice with injustice. Article seven of the Universal Declaration of Human Rights states, “All are equal before the law and are entitled without any discrimination to equal protection of the law. All are entitled to equal protection against any discrimination in violation of this Declaration and against any incitement to such discrimination.” This includes tyrants such as Kim Jong Un. Committing an act that is contrary to this article of the UDHR and infringing upon this right, will create an unstable foundation for a democratic country. This issue has become important to me as I hope it will with you. It started when I was a freshman in high school, I was like any other kid. My life was radically changed as well as my perspective of the world around me after a watched National Geographic’s Inside Look in North Korea. The way I saw people and the world around me has never been the same. I was shocked at how an atrocity like this in North Korea was happening and I didn’t have a clue about it. The crisis in North Korea was all I could think about, so much so that my first essay for freshman English was about North Korea. As I read my thesis statement to the class, everyone looked at me in shock. Some asked me, “How do you know about this?” I was shocked that my peers were so unaware of what was happening. That became the moment where I decided I needed to continue to inform people about what is happening because I knew at that young age, you have to learn to walk before you can run, and so to bring change or make a difference in any situation people have to know what the problem is. In the documentary, Seoul Train, a camera crew documents the journey of a group of people who are defecting from North Korea. There was this women in the group, and what she said was so powerful and has stuck with me ever since. She said something along the lines of, the North Korean people have no voice, and that we have to be their voice. In such a powerful yet simple way she deputized those who heard her words with the responsibility to be the voice for the voiceless. Unfortunately the international community has acted far too late and it appears as though a rebellion is the remedy for North Korea. This change in the future of North Koreans is not and should not be manipulated by the international community but instead should be equipped and strengthened by the international community. This Post was tagged crisis, defector, DPRK, Human rights, human rights abuses, international community, Kim Jong Un, north korea, North Korean, North Korean defectors, UN, united nations. Bookmark the permalink. Very we’ll done. And I agree that the UN acted to late and the only cure is a rebellion (witch isn’t all bad I mean the US was born from one). I think that when this happens the UN should be there to support the people and help them set up a new government. I am very very shocked by how well informed you are about this topic. I actually knew about the issues occurring in North Korea and I did take a lot of interest in this topic a few years back. I agree with you, it is very sickening to see how people are treated in North Korea. My mom takes a lot of interest in the Korean culture and we would watch a lot of documentaries about North Korea, and trust me, it is very very hard to watch and hard to believe! I actually think I watched the same one that you did on Netflix! In the documentary I remember that doctors were sent in to cure the sick but instead of showing their appreciation for the doctors, the people of North Korea would praise Kim Jong Un. I was just as shocked as you were when I found out something like this has been happening and still IS happening. I really enjoyed your essay along with the videos that you provided! Your essay is VERY powerful and very well written. This is such an interesting topic 🙂 my mom read it and enjoyed it as well! Thanks!! I’m so glad you and your mom enjoyed it. Very nice argument. I agree with your views on what should be done with the situation in North Korea, and I also agree that this topic is something that everyone needs to know more about. Not until the decline of Kim Jong Il’s health has the average, everyday person known about what goes on in North Korea. Even now, people have no idea just how horrible things are right now. They take their basic human rights for granted. They don’t fully comprehend that in other places, people are suffering so greatly, simply because their governing powers wish to live their lives lavishly–not just in North Korea. I, too, became interested in the happenings in North Korea when a friend suggested I watch a documentary detailing the lives of a handful of defectors. Their chilling accounts of life in North Korea and the tales of their escape were both heartrending and inspiring. The North Korean refugees most certainly are strong people. It amazes me how they are able to push through despite what terrible things they went through, and I hope that one day, those that remained behind can finally know what it is to be free. You do a fantastic job presenting all the data; everything is very clear and informative, and the overall message is very powerful. You definitely know what you’re talking about, so you’re sure to get a lot of people to spread the word about these atrocities with this article!